Unter licenseglobal.com hat Hasbro jetzt die zukünftigen Pläne für das Transformers Franchise bekannt gegeben. “We decided on Bumblebee because we wanted to go in a bit of a different direction. We wanted a character-focused film versus an ensemble. He is loved by kids, multiple generations, girls and women. Everyone loves Bumblebee,” continues Warner. Hasbro is off to a running start with two new television programs, “Transformers Cyberverse (Chapter 1)” and “Transformers: Prime Wars Trilogy.” The first is an animated series from Hasbro Studios and Boulder Media that follows Bumblebee as he attempts to recover his memories on Earth. “Transformers: Prime Wars Trilogy” picks up on the “Transformers: Combiner Wars” story line and offers a more detailed look at the franchise’s characters and history. Though the shows are not set in the 1980s, “Cyberverse” emphasizes the idea of keeping memories alive, while “Prime Wars,” which debuted on Verizon’s streaming service VerizonGo90, was conceived as a way to reach older, devoted fans who have grown up with the franchise. Hasbro’s 360-degree approach to the new film is one that reflects the company’s continuous evolution from a toy company to a global entertainment and play business. Und hier haben wir das neue Bild zur Transformers: Cyberverse Reihe. Im United States Patent & Trademark Office hat Hasbro erneut drei Namen eintragen lassen. Es sind Mega Mighties, Razorclaw und Blackarachnia. 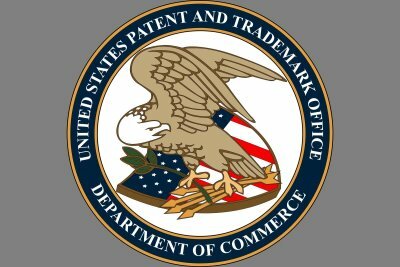 Es ist die Meldung eingetroffen, das Hasbro sich erneut im United States Patent and Trademark Office einen Namen hat eintragen lassen. Es handelt sich dabei um "Allspark Distribution". Transformers Video Challenge von Hasbro! Hasbro hat sich einen weiteren Namen sichern lassen. Dabei handelt es sich um den Namen Movie Edition. Dazu ist auch gleich ein Logo gezeigt wurden.